AtlaSanté is a project supported by the regional health agencies network. It offers several tools to share data in the health field, in an Open Data approach. C@rtoSanté is one of the 3 observatories of the AtlaSanté site. It provides data on self-employed health professionals. These data are updated annually and provide a diagnostic and decision-making tool for medical demographics. They are also useful as settlement support. 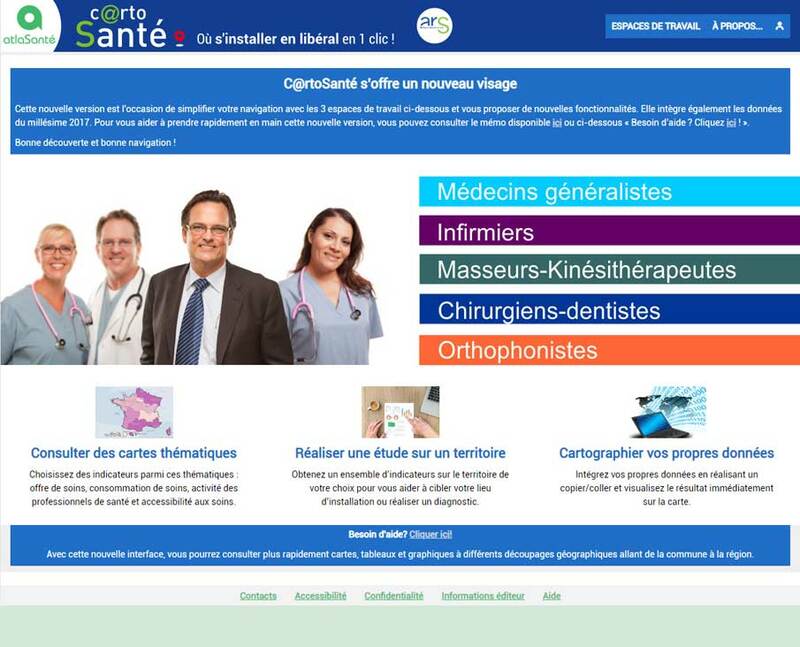 C@rtoSanté makes it possible to map a very large number of indicators on health professionals (general practitioners, physiotherapists, dentists, nurses, speech therapists): consumption and supply of care, activity, access to care, as well as general context data. The geographical divisions range from municipal to regional level, with several intermediate levels, including health territories.